Buzz Xtra, the bold explorer. The Quinny Buzz Xtra goes a little further than other pushchairs. Built with strong looks to match its bold nature this 4 wheeler pushchair is designed to perform great everywhere with its tough wheels and will also take on any terrain beyond the city limits. The Quinny Buzz Xtra can be adapted to become a Travel System with either a carrycot or a Maxi-Cosi infant car seat. City challenges are no match for the Quinny Buzz Xtra pushchair. Move around smoothly without any hassle, locking the swivel front wheel on rough terrain. The Quinny Buzz Xtra is a great 3-in-1 travel system. Add the Foldable Carrycot to make it the perfect pram from birth. Match it with a Maxi-Cosi baby car seat for a smooth transition from car to pushchair or vice versa. Let your child travel in style in the Buzz Xtra as a pushchair. One push of a button is all it takes: the Quinny Buzz Xtra unfolds automatically, thanks to the unique gas spring. You will love how easy it folds, too! The soft cushion of the Quinny Buzz Xtra cradles your child in comfort from the time your child is able to sit independently to around 15 kg (3½ years). 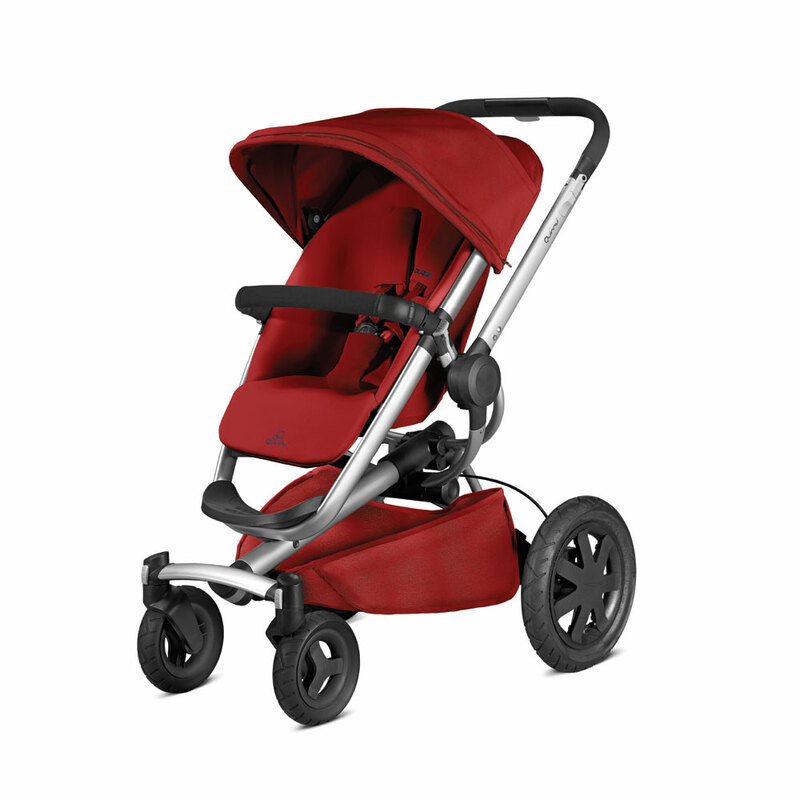 The pushbar of the Quinny Buzz Xtra adjusts to the right height for you to stroll in comfort. Shopping is made easy with the spacious, easy access shopping basket, that holds up to 5 kg. Choose from two reclining positions for Xtra sitting comfort. The Quinny Buzz Xtra has an extra large protective sun canopy to enjoy sunny days out. City challenges are easy to take with the Quinny Buzz stroller. Move around smoothly, locking the swivel front wheel on rough terrain. Buzz Xtra, the bold explorer.The Quinny Buzz Xtra goes a little further than other pushchairs. Built..